We took a lovely jaunt over Father's Day weekend to one of the very few shore towns that I have NOT stayed at yet! I know. You have a hard time believing that, don't you? ha. But it's true. I'll be honest with you. Real is why you come here and honestly, you've come to expect me to be REAL with you, right? Wildwood has never been one of my favorite places to visit. We'd go there when we stayed in Cape May to have some fun on the boardwalk - but I would have NEVER in a million years have considered staying there. I just didn't feel it was safe. I thought there were some scary parts of town that I felt would not be smart to visit with small kids. I thought the same about Atlantic City & I gave them a '2nd shot' with Boston 3 years ago. I saw there that they were really trying to clean it up - but unfortunately, I haven't been back with kids yet. So hopefully we'll have an awakening with AC like we did with Wildwood over Father's Day Weekend! In case you didn't notice by the title....but we LOVED our visit there. And I'll tell you - it's one reason & ONE reason alone why - MOREY'S PIERS. Yes. There are still parts of town that I felt uncomfortable in. I won't lie. But Morey's Piers is different. MUCH MUCH DIFFERENT. 1) THE MOREY FAMILY. As you know in my love of travels and sharing here - I am a sucker for a real life story. And the story behind the magic of Morey's Piers was so fun to see! I missed a special cocktail event because well.... traveling with a toddler puts a vice grip on my plans. lol Truth be told. But I did get a great break to really wander the hotel we were staying in and read the walls. For. Like. HOURS. 3) THE PIERS. Notice I didn't say the Boardwalk. Cause until they stop allowing people to smoke and flick their ashes on me and my kids - I'm not a fan of the boardwalk at all. (And I'm not a smoke-snob. Both of my parents smoke heavily their entire lives. I just don't believe that it should be allowed in a public place like that. It really bothers me when I walk up to a store and their workers are standing in their doorways trying to get me to come in there and their stink cigs behind their ears and in their hands. GROSS! There are way too many little kids running around on that boardwalk - there shouldn't be any smoking. But if you are like me in that? GET ON THE PIERS!! Cause the Morey family does it right. NO SMOKING ALLOWED. 3) THE FUN on THE PIERS. Yeah. You can find so much to do on those three piers that you never need to hit the boardwalk or the streets of Wildwood if you're a fuddy-dutty-like me. And honestly, there are many out of towners that need that 'comfortable place'. Morey's Piers have so many really fun things to do! I died after finding out there was THREE piers to PLAY! The Ghost Ship & Kong were our favorite rides. LOVED them. 6) THE HISTORY. More than one occasion my family had to distract me to STOP looking at all the images on the walls at the Pan American Hotel!! I stopped every time so that I could read, snap and share the great history of Morey's Piers! 7) OH-MY-THE-ORANGEAIDES. Seriously. I should be embarrassed with how many orangeaides I had on those piers!!! My mouth is watering now for one dangit. 'Tis the season for water parks and Summer adventures! This year, we're thankful for Morey's Piers & Beachfront Water Parks for providing us with a perfect Summer getaway location! We'll be visiting this weekend to celebrate Father's Day and there is a ton of stuff to do - for the whole family! We are going to stay at the Pan American Hotel where they have a great bistro called Alosi's Bistro where we'll be stopping for breakfast! There are two new amazing attractions at Morey's including KONG and artBOX:LAB. Kong, an iconic boardwalk landmark in early 1970s, and also the new gorilla themed amusement ride is now open on Surfside Pier. KONG, who you'll see snorting smoke and fog, sports an “I love Wildwood” t-shirt (who wouldn't?) and clutches one of Wildwood’s well-known tram cars while hanging from the 60 feet tall lighthouse at the ride’s center - sounds awesome! Eight vintage shark themed ride vehicles will duck and dive around the infamous gorilla, bringing riders 26 feet in air. After sunset, KONG lights up the night sky with a rotating light on top of the lighthouse and enhanced LED lighting outlining each ride vehicle. This looks like it will be a great ride for us to try out this weekend while we celebrate Father's Day! Underneath the ride is Kong & Co. a new 3,000 square foot retail space offering charging stations and comfy chairs, as well as chocolate covered frozen bananas and merchandise for purchase. Besides there being snacks and merchandise, the charging stations is such a great idea. Sometimes large families like to split off during their vacation, and if your phone is dying, it can be nearly impossible to find the rest of the family! These charging stations are really convenient! artBOX:LAB is a new interactive workshop for kids. The resident artist, David Macomber, leads the class and allows kids of all ages to create their own spins on works of art to take home! There is a rotation of guest artists all Summer long so you'll be able to experience a lot of different artistic perspectives and more! Classes include block printing, origami, painting, and even jewelry making! The classes are available Thursday-Sunday from 5pm to 10pm so this would be a GREAT wind down activity for the kids after all day at a water park! There are no appointments necessary and class prices are anywhere from FREE to $35! If you're not used to the weather in Wildwood, NJ, they're pretty warm during the Summer. In June, the temperatures can reach the low 80's so make sure to pack plenty of sunscreen, comfortable shoes, and most importantly - your bathing suits! Now that you've got a sneak peek of Morey's Piers & Beachfront Water Parks - keep an eye out for my followup after Father's Day weekend! What would you be most excited to try? Let me know in the comments below! Connect with me on Pinterest to follow along with other Real Mom Travels! It's no secret that here at Real Mom Media we are big fans of the Tuckerton Seaport. There is something about this amazing attraction in a small New Jersey shore town that is endearing. It's time to don your best pirates attire, put on your finest eye patch and get ready to set sail on your dreaded pirate ship! 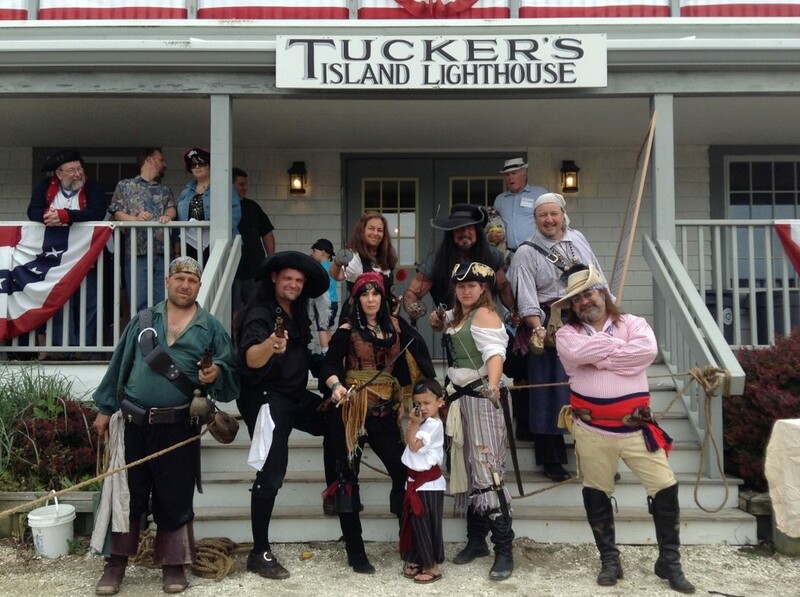 That's right, it's that time of year again: Tuckerton Seaport is hosting their annual Privateers and Pirates Festival! On Saturday June 7 starting at 11am, Captain Black will be coming ashore with the crew of the Valhalla, ready to transform Tuckerton Seaport into a pirate paradise. For the pirate-at-heart, this is the perfect event for the entire family. Meet pirates in person, join a treasure hunt, and get your picture taken on the plan. The best pirate costum will be awarded a prize at the end of the day! Piratology 101: Learn about the Golden Age of Piracy! Cannon Demo: Watch how to handle and fire a cannon. Volunteers will be needed to join the gun crew. Don’t be scared by the big BOOM at the end. Scurvy Mutineers Sword Fight Show: A live steel combat show complete with action and laughs. Volunteers will be selected from the audience to join the mutiny. Whip Show: Things will really heat up as tricks and skills are shown. Pirate Pistol Duello Show: A stage show of how a friendly game of Liars Dice can go terribly wrong. Learn how pirates settle an argument. Treasure Hunt sponsored by Fantasy Island Plus, Pirate Ship Bounce House included with Admission! Tuckerton Seaport is located at 120 West Main Street. Admission for the Privateers and Pirates Festival is $8 for adults, $6 for seniors, $5 for children, and free for Seaport Members and children under 5. Event admission includes access to the Seaport’s 40 acres of family fun, featuring maritime activities, historic and recreated buildings, live animals, a boardwalk, miniature golf course, and exhibits. For more information, find the Tuckerton Seaport on Facebook or call 609-296-8868. All Things Pirates! Learn the difference between privateers and pirates and then be one. Pirate history – authentic and make-believe – plus a treasure scavenger hunt, costume contest and pirate craft activities. Enjoy the crew of the Valhalla Pirates with historic pirate entertainment. “Pirates for Sail” live band, Grog Garden and tasty food vendors. General Admission applies. Enjoy delicious Jersey fresh clams, crabs, scallops and shrimp from the finest local seafood purveyors. Micro brew court. Crafters, vendors, music, food, refreshments, family activities, demonstrations,boat rides, boat builders and decoy carvers. Speak with commercial fishermen to learn about occupations on the bay or take a clam shucking class. So bring the family and plan to spend the day. Music from local favorites: The Mott’s Creek Pickers (Sat) & The Billy Walton Band (Sun). Selected as one of the Best Outdoor Festivals by NJ Monthly Magazine. Presented by the Jersey Shore Folklife Center. General Admission applies. The Tuckerton Seaport is thrilled to host the Roots Music Festival on June 28th & 29th. Kick back for 2 great days of music, wine tasting, food, crafters, vendors, demonstrations & activities. Live roots music from The Billy Walton Band, Ryan & the Blue Hearts, James Day & The Fish Fry, Steve Guyger, The Keystone Swingbillies, Snake Brothers, Home Cookin’, and Zydeco-a-Go-Go. Uncork some fun and enjoy a perfect afternoon of wine tasting from some of NJ’s finest wineries Di Matteo, Tomasello, andValenzano. Complimentary wine glass included. Try free samples from the barbeques of best local barbeque cooks and vote for your favorite. $20 day / $15 members; 2 day combo pass $30 / $25 members. Pre-sale special! Buy 2 day combo in advance and receive free reserved parking. Parade followed by children’s activities, baby parade, entertainment. Fireworks over the lake at dusk. This event it FREE! Check back on the Tuckerton Seaport events calendar for more info in the near future. Our premier fundraising event features endless hors d’ oeuvres and entertainment by the Billy Walton Band! With it's close proximity to both New York City and the New Jersey beaches, Tuckerton Seaport needs to be on your Summer Bucket List! The only question left to answer is: which events will YOU be going to? Quaint, yet a hop skip and a jump from New York City and the Jersey Shore, Tuckerton Seaport is the perfect day trip for the family. If you are staying at the beach and want to shake up your week, Tuckerton Seaport Museum is as fun as it is educational. This attraction is rich in preserving the “maritime history, artistry, heritage and environment of the Jersey Shore. They also have super fun events, like the Bluegrass and Barbecue Festival. 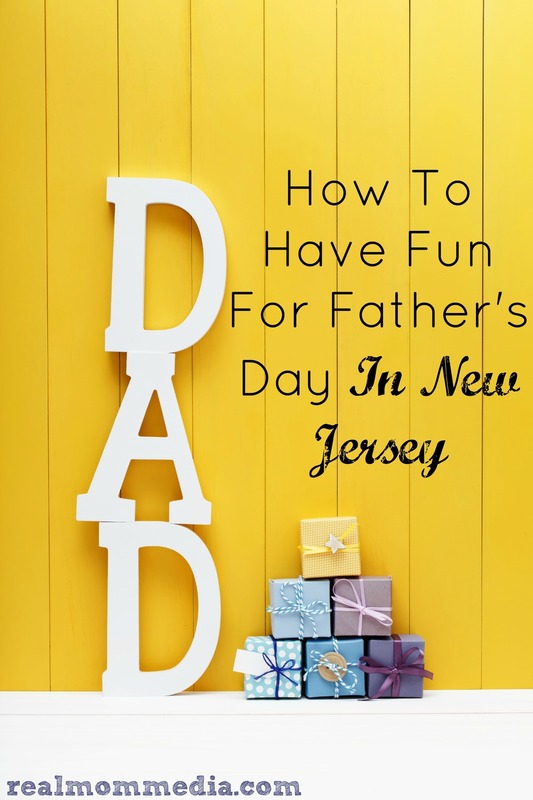 You don’t have to travel far into New Jersey to find family-friendly fun. The Adventure Aquarium, just over the bridge from Philadelphia, is a hot spot for visitors. Watch the hippos swim, touch a shark and laugh at the dancing penguins. There is a ton to learn about sea life as well as watch one of their Meet the Divers shows! Who knew that Atlantic City was family friendly? Over the past few years, the town has rebranded, making sure to offer something for everyone. There is the beach, fun places to eat like Rainforest Cafe, Atlantic City Aquarium and the Ripley’s Believe It Or Not Museum. This is only a smattering of what AC has to offer families. How will your family #DoAC? We all love Summer because the warm weather and brilliant sunshine gives us a much-wanted opportunity to spend time outdoors. But what about the weeks it rains all day? Then there is nothing better than an indoor/outdoor water park! Sahara Sam’s in West Berlin is the best of both worlds, offering both an indoor AND outdoor water park! Outside is complete with a children’s splash park, wave pool and volleyball courts. Inside offers water slides, lazy rivers and an arcade. Perfect for any weather all through the year! Some resorts are perfect for adult-only vacations. But what about family getaways? Congress Hall in Cape May has families covered! Offering luxurious accommodations, Congress Hall still knows how to have fun. Get your karaoke on during the weekly Family Karaoke Nights as well as the Carnival on the Grand Lawn every Monday night (which includes a complimentary family-friendly movie once the sun goes down)! If your visits bring you to Congress Hall, then there is no better way to spend a day of your vacation than the Cape May County Zoo. A beautiful show of natural environment, the lush gardens are an oasis for over 500 animals (representing over 200 species!). The beach is the perfect place to get an education on the animals of our planet! What are YOUR favorite kid-friendly spots in New Jersey? Inspire our next trip by sharing your tips! Ho, Ho, Ho with a touch of sand and you have the perfect way to celebrate the holiday season! Santa will be arriving beach side at The Golden Inn of Avalon on Sunday December 15 and Sunday, December 22, 2013 for a special breakfast and a visit with Santa. No matter if you have been good or bad, this is a breakfast that you won’t want to miss! Seating begins at 8a.m. with the last seating at11 a.m. The cost is $9.95 for children ages 12 and under and $14.95 for adults. The menu includes scrambled eggs, home fries, bacon, turkey sausage, fresh fruit blintz, build your own pancakes, fruit salad, Danish, pastries and cookies. Kids of all ages can write their holiday list and give it to Santa and in a couple of days they will receive a personalized letter back from Santa! Reservations are a must and space is limited! For more information about The Golden Inn call 609.368.5155 or log onto www.goldeninn.com. The Golden Inn is located at 7849 Dune Drive in Avalon. Open 365 days a year, The Golden Inn of Avalon, is the perfect place for a summer vacation or a getaway anytime! Just steps from the beach, The Golden inn features 154 guest rooms are equipped with 27-inch color televisions, individual temperature controls and – in many cases – breathtaking ocean views. You all know how much I love Congress Hall in Cape May. The fun doesn't just end when the summer comes to an end. Congress Hall hosts some great holiday events that you will not want to miss! Jolly old St. Nick himself invites you to have breakfast with him and his pal, "Blue" the pig every Saturday this holiday season in the magical Ballroom at Congress Hall. Enjoy all of your breakfast favorites while you snap some photos with Santa and fill him in on your Christmas wishes. **SPECIAL** Save 20% off for November 30th if booked by November 26th. 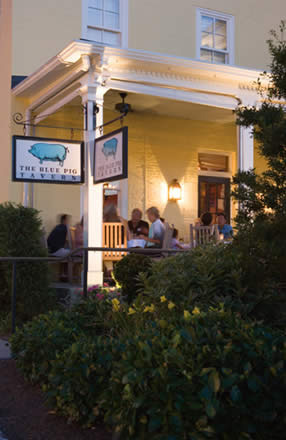 Join Congress Hall for Lunch and a Show on Sunday afternoons or Dinner and a Show on Thursday, Friday, or Saturday at the Blue Pig Tavern. Enjoy a 3-course meal along with your show ticket to a Cape May Stage Production of David Sedaris' hillarious one-man play. For mature elves only. To make your reservation for either Congress Hall events, please call (609) 884-8422. Can you build the ultimate sandcastle? If you have watched the Travel Channel's Sand Masters and wondered "How do they do that? ", here is a chance for you to learn from one of the Masters himself. The Golden Inn of Avalon will be hosting renowned sand sculpture Sandmann Matt Long Sunday, August25 through Tuesday August 27 as part of a unique and afforable VIP family overnight package. This is Sandman Matt's second visit to the Golden Inn. We were able to go down and see him last year as he created a sand work of art over a two day period. He created a 4x4 sandcastle incorporating the logo from The Golden Inn. This year, he has promised a bugger and even better sandcastle! The Golden Inn of Avalon is offering the Sandman Package. The package includes three nights accommodation in a standard room with two queen beds (upgrades are available), two lunches for all participants, two sets of sand tools, expert training, and a contest with cash and other great prizes! The total package runs $529! Guests will also have a chance to show off their new talens in a contest for the Best Sandcastle, Most Original Sandcastle, and Best Sandcastle fitting the theme of Avalon. Cash prizes will be awarded. Matt Long has been sculpting sand for about 13 years and professionally since 2001. Matt has been commissioned by an array of companies and organizations including, Atlantis Hotels, Nickelodeon, The PGA Tour, W Hotels, and The Curacao Department of Tourism. Like most sand sculptors, he has won numerous sand sculpting awards. Open 365 days a year, The Golden Inn of Avalon, is the perfect place for a summer vacation or a getaway anytime! Just steps from the beach, The Golden inn features 154 guest rooms are equipped with 27-inch color televisions, individual temperature controls and – in many cases – breathtaking ocean views. Who doesn't like a little bluegrass and barbecue? On May 19, 2013 from 11-5, Tuckerton Seaport will be kicking off the summer with the down home sounds of bluegrass and the sweet smell of barbecue. There are a TON of things to come out and do: rafters, vendors, food, refreshemnts, family activities, demonstrations, decoy carvers, boat building and boat rides! New this year to the Bluegrass & Barbecue Festival is Todd's Musical Petting Zoo! Try out over 100 instrucments from accordian to zither, steel drum to thumb piano and everything in between! Real Mom Media will be on hand to share with you all of the amazing things that Tuckerton Seaport has on deck for the day! Make sure you follow us Facebook, Twitter, and Instagram to virtually follow along with us! OR, come on down and join us! General Admission to the Tuckerton Seaport applies. Tuckerton Seaport & Baymen’s Museum is located at 120 West Main Street in the heart of historic Tuckerton. Event admission is $8 for adults, $6 for seniors, $5 for children, and free for Seaport Members. Event admission includes access to the Seaport’s 40 acres of family fun, featuring maritime activities, historic and recreated buildings, live animals, a boardwalk, miniature golf course, and exhibits. This event is supported in part by a grant from New Jersey Department of State, Division of Travel and Tourism, www.visitnj.org. For more information, find the Tuckerton Seaport on FaceBook or call 609-296-8868. For more info, pictures, and a video of Todd’s Musical Petting Zoo check out www.diatoddnics.com/pettingzoo.html. My absolute favorite place to visit is Cape May, NJ. I've fallen in love with this town from the first little trip my husband and I made after moving to Philly. The past few days I've been in a FOOD COMA. I'm enjoying a stay with Cape Resorts Group learning about their properties and getting to taste their amazing cuisines. I admit it. I'm a food addict. 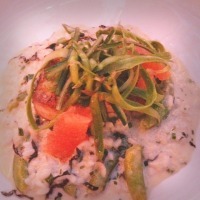 Especially amazing food!!! I can honestly tell you-even when I've stayed with their properties here as a patron, I've NEVER eaten better! Pigs In a Blanket-Blue Pig TavernWe experienced awesome foods from Ebbitt Room at The Virginia Hotel, breakfast at The Blue Pig Tavern & Dinner at The Beach Shack. Not to mention the small little wonders I found along with way. I stopped in the little shop at Congress Hall and got lunch one day that was dazzling! And the fact that they have peanut butter & jelly CUPCAKES?!?! The Ebbitt Room - BEST meal on the trip! Farm to Table Menu is how Cape Resorts Group rolls! They take the food that is in season and provides an amazing array of tasty choices. I'm going to share with you the menu we were given for our dinner. This menu changes but the staples from Beach Plum Farm continues on. Strawberry Shortcake - Hello? Do I HAVE to describe this to you? Ok.. DECADENT. I am a LOVER of hotels. I love to travel...taste new flavors...check out the bathroom products and share my experiences! 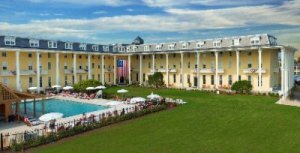 Last summer I was apart of an AWESOME weekend getaway to Cape May to stay and promote Congress Hall. It was the best experience ever! 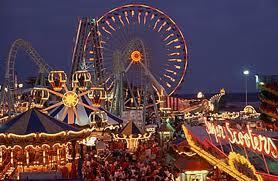 So with the awesomeness and all that is in Cape May-why not return - right? I wanted to stay at or near the location where my husband & I went on our first 'shore trip' when we moved her from Chicago years ago. I actually found this property while searching and about fell over when I saw one of the porches actually overlooked the place we stayed! I have to be honest with myself you...I am a bit travel spoiled! Yes. I know. Me? Yes. I can't believe it either. =) When I was in my 20s and met my husband he took me all over the country. I love that it's not run by some 'hotel management company' that doesn't even know much about the hotel! Curtis has so much passion in the place-you can tell before you even walk through the front doors. The warmth and welcome feeling you get from all the properties is impeccable. You can tell that he takes care of his employees too because they are always smiling and go above and beyond a typical hotel staff. In fact, I forgot my coat there when we checked out on Monday and by Tuesday it was at my doorstep! The off season price to stay in the cottage we stayed in: The White Cottage (Penthouse Suite) was approx $200 a night. Not bad for that ocean view, right?